When Shia LaBeouf initiated the “He Will Not Divide Us” art performance project, he was expecting that only anti-Trump supporters would appear in front of the camera so they can express their fears about having Trump become president. Yet funnily enough, 4chan’s trolls and Trump supporters went there more than the anti-Trump ones. They would pull pranks, display Nazi and anti-political correctness imagery, and would sing or play songs that only their generation understands. 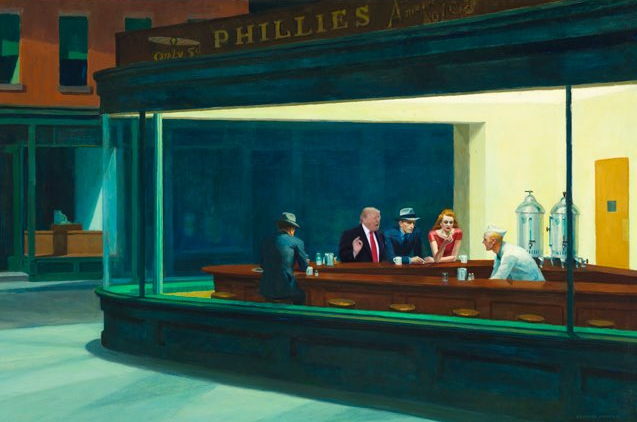 Soon enough, and after much, much trouble, it became one of the most watched political art performance ever on the internet. Critics say that it is proof of how harassment is the new weapon in the Age of Trump, while ignoring one of the facts that the Trump supporters were making: Not all of them were white. That was supposed to be their answer to what anti-Trump supporters claim that only white people like Trump. The armies of 4chan are not all white and when anti-Trump supporters like Shia lumped them with “Trump supporters” and the phrase “all white,” there was a notable tinge of annoyance from the internet’s hate machine. In Anonymous’ eyes, there is no color. Just being united in thought and culture. And it showed. 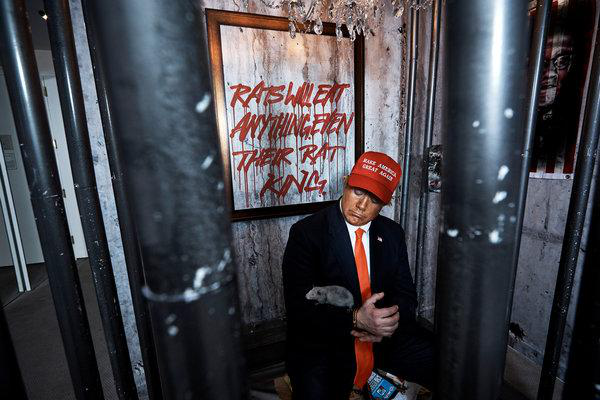 Sometimes anti-Trump art would even need a push, like this article from artnet in 2017 about an artist who promised to make anti-Trump art everyday, which only got 3000 likes at most. If the election was to be believed and that a great half of America hates Trump, then there should be quite a few more thousands to this. And the list of artworks that fail goes on and on. The People’s Prison, a work made by INDECLINE, only got a few views on Youtube. Was it poor advertising? Was it an error? Or was it because it made little sense? The fact is that Trump is the people’s president, and they followed the law when voting for him. And it angers these artists that, despite the precautions their political side has taken, Trump still ended up winning. The people has spoken. Why then these artworks fail to get attention or fail to generate some kind of support that you can usually attribute with the Left and art? The Left has always valued art, as a political platform, as an expression of their beliefs. But if they really believe half of the things they claim about Trump and what they portray through art then why most of them fail? When Ivana, Trump’s first wife, said that the US needs immigrants because there will be no one “to vacuum (their) living rooms and clean up after (them)” there is a hint of truth that doesn’t appear in the art piece “Ivanka Vacuuming,” which is ironic considering that visiting their website greets you with a plea for donations and the phrase “Art can offer a truth that politics can’t,” quoting Jennifer Rubell, the person responsible for the art work. If there is, then it is completely missing. Maybe when they finally understand their own shortcomings would they finally understand what Trump really mean. Beyond the biases and the fanaticism that they are showing lies a truth they either don’t comprehend or don’t want to comprehend, and will continue to resist logic with cries of “Resist!” and terrible art works that can only be shallowly understood by the audience they cater to.